Obituary for Benjamin H Jones | Q A Cantrell Funeral Services LLC. Benjamin Harold Jones was born June 24, 1950 in Detroit, Michigan. He was the third child of Nelson and Eleanor Jones. 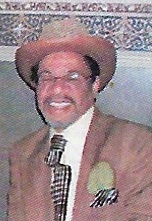 Benjamin attended Detroit Public Schools and shortly after began working for Chrysler Automotive in 1972. After 29 dedicated years he retired respectfully in 2001. He continued on as a mechanic and invested into real estate to make room for his own personal car collection. After a steady pursuit of happiness Benjamin and Sharon Jones took each other hands in marriage July 15, 1977 and they have been fully dedicated to one another for 48 years. Benjamin had a passion for cars and made sure he drove in the dream cruise every year. He enjoyed music as well and went to every rhythm and blues concert throughout the city of Detroit. In his younger life he enjoyed motorcycles and racing. He spent time in the park with family and friends playing Dominoes. Benjamin loved to travel, fish, and hunt. He enjoyed taking the boat out to the water with close friends and family. Benjamin was a remarkable father and a true friend. He was a man that appreciated the smaller thing in life. He would help anyone who needed assistance and if he couldn’t he knew a guy. He taught each and everyone of his children to stand on their own and led us back to the path when lost. He knew each and everyone of us individually and was able to give us exactly what we needed. He was supportive in every decision we made. We couldn’t ask for a better father. He could never be replaced. Truly a great Man! His favorite line when speaking highly of himself and “I’m a Thoroughbred”. And anyone who knew him heard this saying often. Spending time with him was such a pleasure. He always had a joke and wanted to have fun. Benjamin was truly a blessing and to know him was to love him. Benjamin Harold Jones peacefully departed from us February 9, 2019 and proceeds his parents and brother Nelson Jones Jr. (Juney) in death. He leaves to celebrate his life his sister Adriane Jones, his wife Sharon Jones and their 7 children, Mariea, Marsha, Mark, Mahognie, Machelle, Marvin and Michael and a host of uncles, aunts, nieces and nephews, grand and great grandchildren, cousins and close friends.